Mining giant Rio Tinto is racing against time to find the electricity needed to run its giant copper-gold mine in Mongolia, as wrangles with the government threaten a further setback for the flagship project. Oyu Tolgoi, located in the South Gobi region near landlocked Mongolia's southern border with China, is scheduled to complete a $5.3 billion underground expansion by 2022, creating one of the world's biggest copper suppliers. The project is set to transform Mongolia's tiny economy and is key for Rio as the sole potential growth area for its copper business, but it has been beset by squabbles over cost overruns, claims of unpaid taxes and corruption allegations. Rio Tinto and the government are engaged in brinksmanship, not only about the location of the power plant required to run the mine, but also who should pay for it, risking further delays. Now, Rio Tinto and the government are engaged in brinksmanship, not only about the location of the power plant required to run the mine, but also who should pay for it, risking further delays. Oyu Tolgoi currently pays about $100 million a year to buy electricity from China for its open pit mine, but according to a landmark 2009 agreement, a domestic power source must be found for the project by 2022. The Anglo-Australian miner has invited three state-owned Chinese contractors to submit bids to build a $1.5 billion power station, but has yet to make a final decision on a go-ahead or receive permits from the Mongolian government. Even if Rio Tinto made a decision immediately, it would be virtually impossible to complete construction before 2023, said an industry source said on condition of anonymity. The complication for the power project is the Mongolian government's desire to kickstart the nearby Tavan Tolgoi coking coal project. Rio had originally planned to build its own power capacity, but it was encouraged by the government in 2014 to switch to a proposed plant at Tavan Tolgoi, where it would be an off-taker rather than investor. Mongolia hoped Oyu Tolgoi's involvement as a guaranteed customer would encourage investors to back the long-delayed coal mine, and this remains its preferred option, a government source familiar with the situation said. However, in February this year, the government cancelled a 2014 agreement setting up a framework for co-operation on a shared power plant. Oyu Tolgoi, which pays about $100 million a year to buy electricity from China, is looking at options for a domestic power source, said Luke Colton, chief financial officer at Turquoise Hill Resources, the Rio-controlled unit that owns 66 percent of the project. "An Oyu Tolgoi-based plant is currently the most feasible option that could deliver a domestic power source within the shortest timeframe," said Colton, although he added that a Tavan Tolgoi plant remains an "important option". 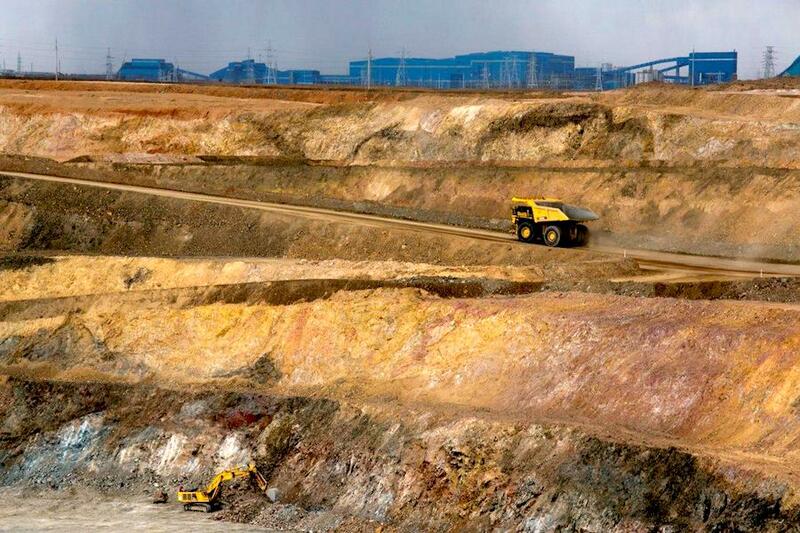 Whatever Rio does, Mongolia is still determined to go ahead with the Tavan Tolgoi plant. Otgochuluu Chuluuntseren, a former government official who also served as an Oyu Tolgoi board member, said it was the best option, although politics were getting in the way. "The main challenge remains the same: political instability and unpredictability," he said. Some government officials have expressed impatience about the delays, saying plant construction could have started years ago. "Oyu Tolgoi should stop playing with the Mongolian state!" Mongolia's energy minister Davaasuren Tserenpil said on the ministry's official Twitter account last month. Mongolia's cabinet will soon discuss how to deliver electricity to the scarcely-populated South Gobi. Rio, meanwhile, says its plan for a power plant at Oyu Tolgoi could add another $1.5 billion to the project's total costs, far higher than originally envisaged back in xxxx. With the Mongolian government owning 34 percent of the project, it would also have to stump up $500 million. Sun Jianli, spokesman with the Power Construction Corporation of China, one of the contractors, told Reuters the bid was "preliminary" and the project was still "very far away". The others, China Machinery Engineering Corporation and Harbin Electric International , declined to comment. If nothing his built on time Rio and Mongolia would face a decision on the domestic power requirement to keep Oyu Tolgoi running. Even if it continue to take Chinese power, the bill would soar once underground operations get underway.